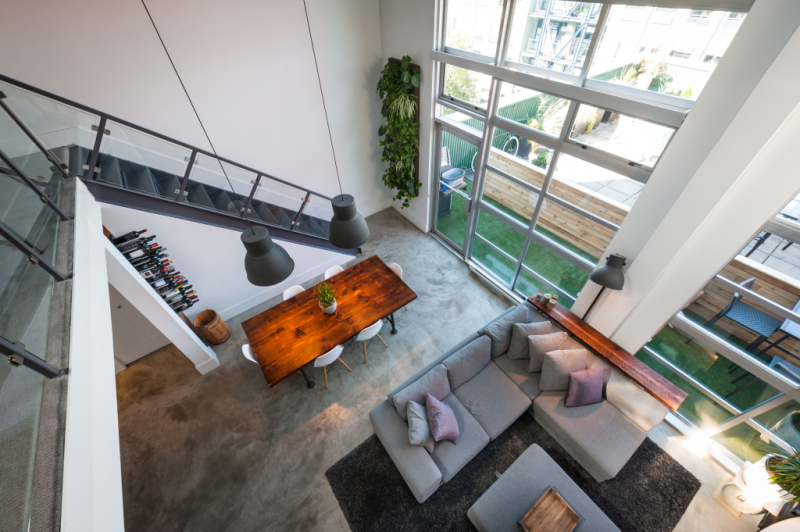 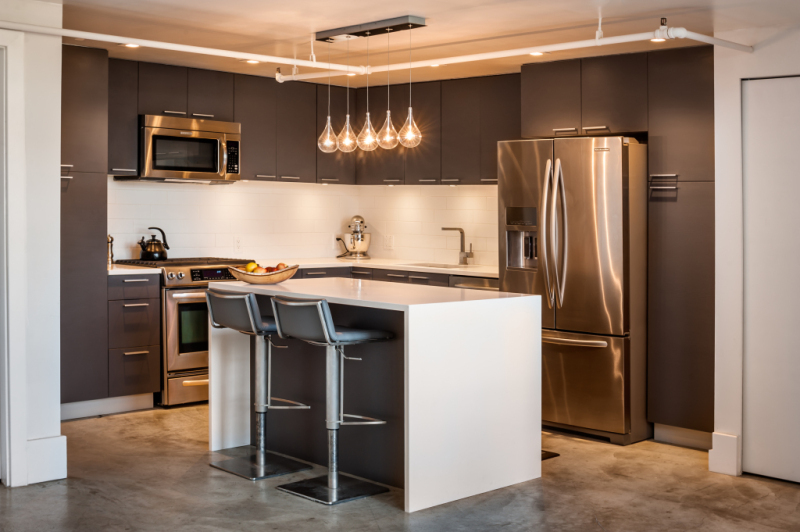 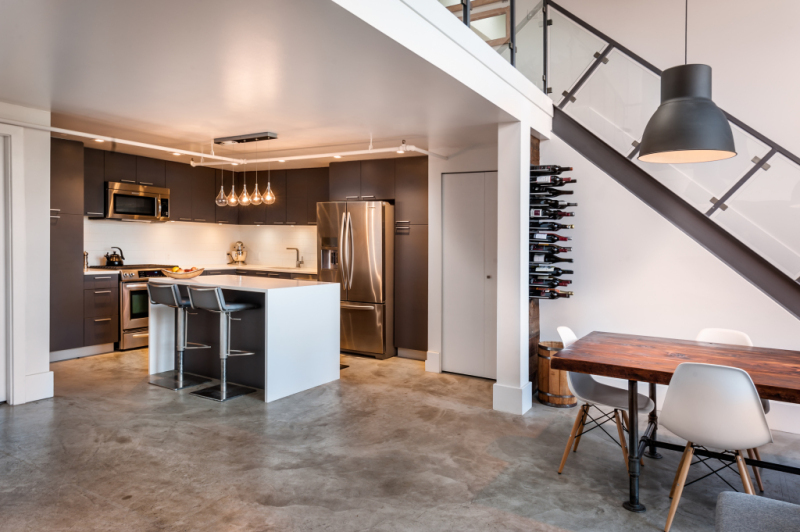 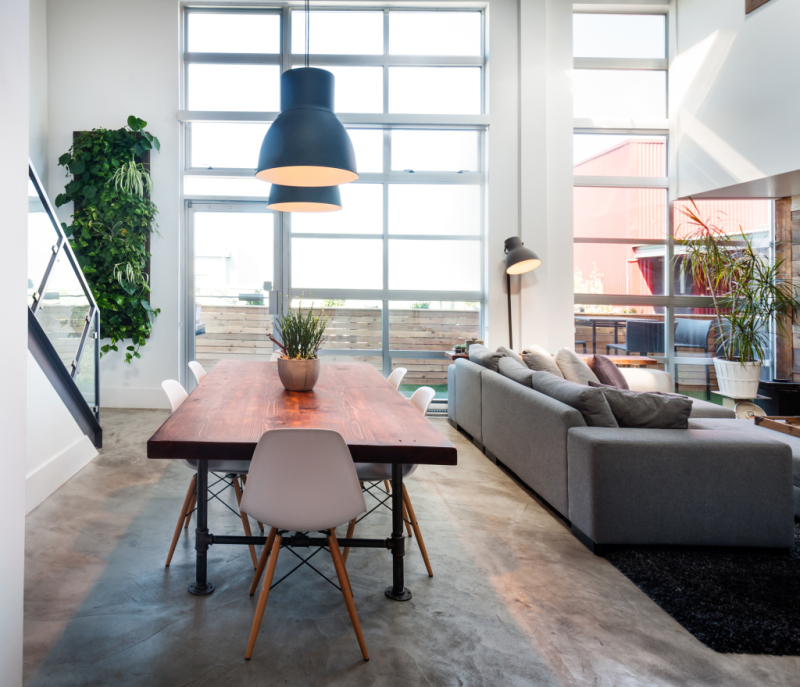 theMACNABs recently came together with all their handy friends & family to create what they are calling a true “Vintage Modern” double height loft in Vancouver’s industrial loft land. 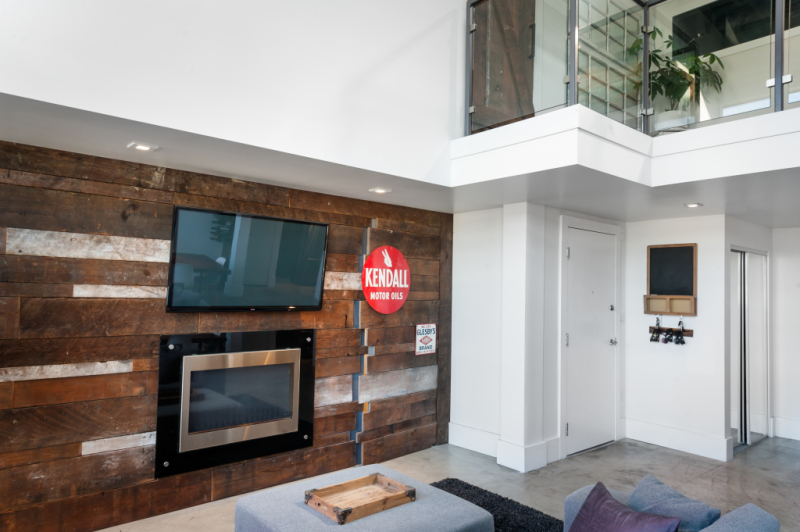 The Mecca loft building is located in Mt Pleasant’s up and coming Brewery Creek district. 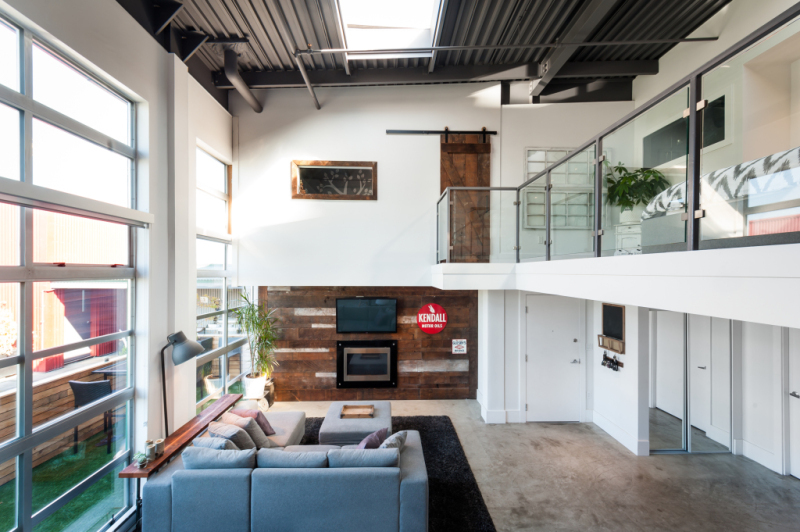 This 1350 sq/ft loft is one of the rare ones which includes; 2 bedrooms, 2 bathrooms, a roof top patio, a secret door to a hidden office, and a sweet view of Grouse Mountain. 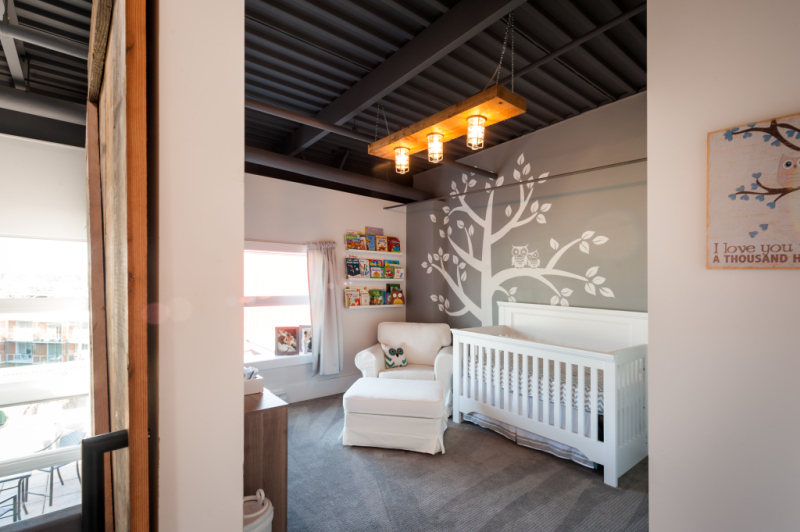 Having been pregnant with their first, Katie and Jordan Macnab, had to think about the future when designing the functionality of the space without losing any cool factor. 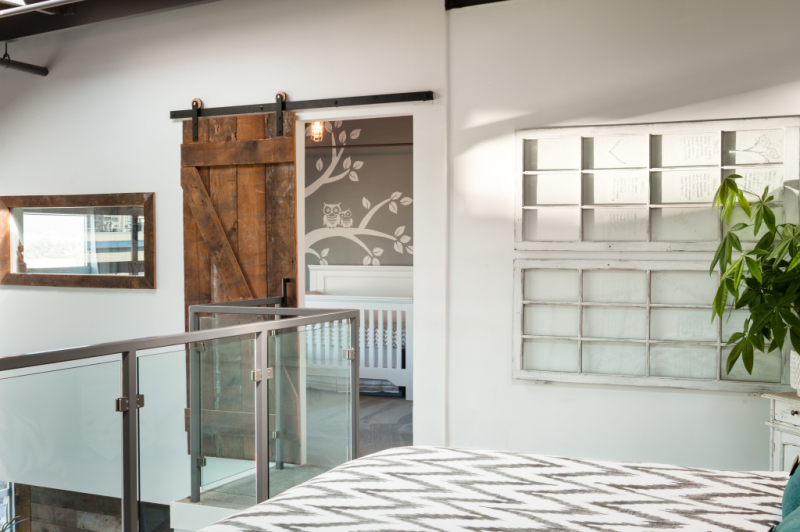 That being said, they definitely still wanted to keep it industrial and lofty and worry about baby proofing later. 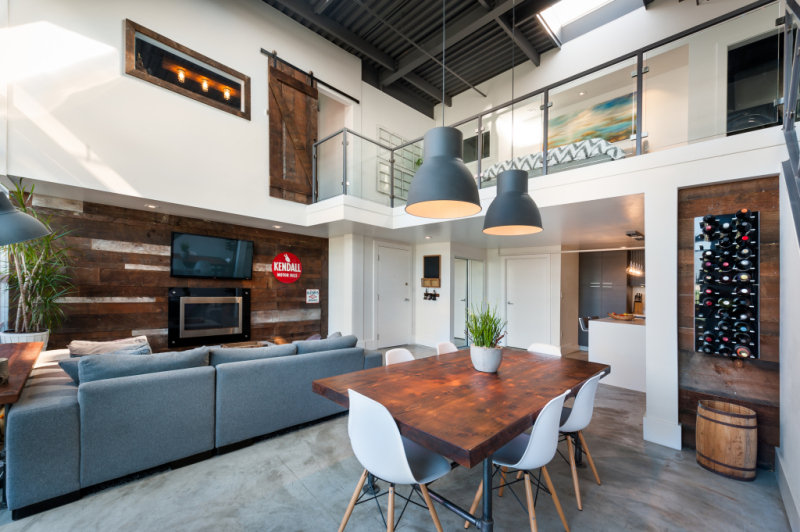 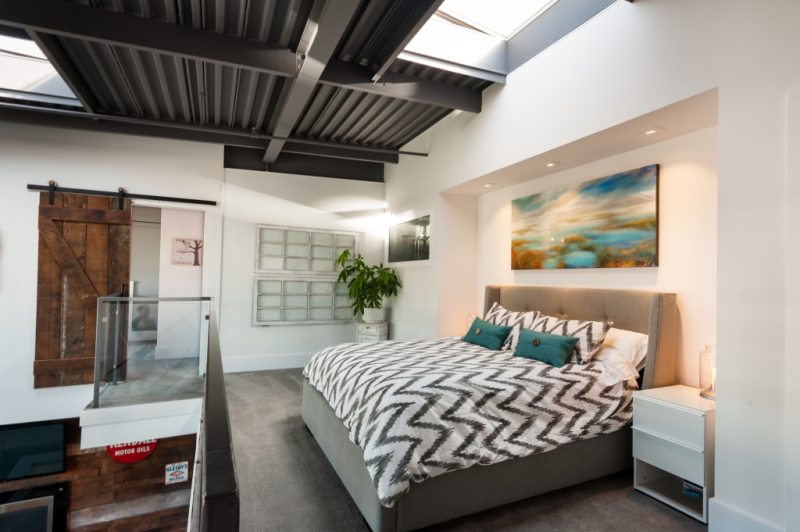 The result is a stunning loft fit for anyone looking to live in Vancouver.